And then there were five! The third new-to-DVD Oscar Best Picture winner to appear so far in 2004, 1956’s Around the World in 80 Days finally allows us to finish off the 1950s. This leaves just five Best Picture winners unreleased on DVD, all of which come from the 1920s and 1930s; the newest flick unavailable is 1937’s The Life of Emile Zola. World starts with prologue that shows all of the famed silent film A Trip to the Moon. It then shows rocket launch and discusses the potential for hope or destruction while we watch shots from the rocket. Why? I have no idea, but we soon jump back to London 1872, where we learn of a big bank robbery that snags some crook 55,000 pounds. We meet Phileas Fogg (David Niven), a member of the reactionary Reform Club in London. He’s very eccentric and exceedingly precise, and his demanding nature drives away scads of valets, so he needs a new one. Latin ladies man Passepartout (Cantinflas) lands the gig. At the Reform Club, Fogg discusses the possible escapes for the crook, and he claims one can go around the world in 80 days. Another member proposes a 5,000 pound wager to dare Fogg to prove his point, and he accepts. Plan to start by train, but a calamity prevents that so they launch via hot-air balloon. They intend to go east over France but head toward Spain by accident and alight there. To get to Marseilles, they need to contact Achmed Abdullah (Gilbert Roland) to borrow his yacht. He agrees but wants Passepartout to test his mettle as a bullfighter. After this, we find Fogg and Passepartout at the Suez Canal via ocean liner. While there, we meet Mr. Fix (Robert Newton) of Scotland Yard. He suspects that Fogg is the bank robber and he gets the okay to follow Fogg and presumably arrest our hero when the appropriate time comes. Due to an incomplete railway, the gang gets forced to hoof it in an Indian jungle. Along the way, they encounter a ceremony for a religious sacrifice, and Fogg decides to intervene. He rescues lovely young Princess Aouda (Shirley MacLaine) and takes the English-educated honey with them. The remainder of the film follows the plots built to this point. The main one concerns Fogg’s attempt to get around the world on time and win the bet. He has to avoid certain obstacles, including Fix’s fixation. He also develops a very slow-simmering romance with Aouda. World is one of those “how the heck did this win Best Picture??? flicks. Not that I think it should go down in infamy as the worst film ever to nab the top Oscar. Heck, it’s not even the crummiest Best Picture winner of the Fifties, as the atrocious Greatest Show on Earth heartily earns that dishonor. And at least World faced less stiff opposition. It remains insane that Show won Best Picture in a year that saw the release of Singin’ In the Rain and High Noon. The most notable flick to lose to World was Giant; it’s a solid film but not quite on the same level as Rain or Noon. Although I won’t call it the worst Best Picture winner, don’t take that as an endorsement of World. The movie manages to present some entertainment but little else, as it provides an exceedingly thin story. Part of this comes by design, as producer Michael Todd apparently emphasized that he didn’t want World to be a “real” movie; he strived more for a grand extravaganza instead. And he got it. Essentially World is little more than a big travelogue connected by some loose plot elements. Virtually all of the obstacles Fogg faces feel invented simply to add local flavor and to allow him a variety of travel methods. Why end the Indian railway early? So we can watch our characters ride elephants, of course. Why send them off-course to Spain? So we can check out a bullfight, of course. And so goes the rest of the movie. The relentless barrage of guest stars covers the same territory. World features an absolutely insane roster of cameos, almost none of which actually add anything to the movie other than the “ooh!” factor, as in, “Ooh – that’s Frank Sinatra!” Actually, the “ooh!” factor seems somewhat low for modern audiences, as many of the guests will pass unrecognized. I think I’m more acquainted with talent of the era than most people, but I still missed quite a few of them. Nonetheless, during the time of the movie’s release, World must have come across well in regard to all these cameos. Indeed, Mike Todd apparently invented the term “cameo” to add cache to what otherwise would be called “bit parts”. It worked in that he recruited scads of notable talent, but the incessant walk-ons don’t serve any story-telling purpose. Not that they were intended to do so, or that World cared at all about telling a tale. As I noted earlier, this flick exists as a big-screen extravaganza, not as a traditional movie. I will say that in that regard, it definitely succeeds. The film consistently seems lovely to look at, and it exhibits a certain lively charm that makes it much more watchable than one might expect. While the many long, languid tourist shots do slow down the pace badly at times, they accomplish their goals in their attempts to take the audience to the places in question. Granted, the movie pushes fantasy versions of the various locales, but it does so in an entertaining way. That’s probably the best thing I can say for Around the World in 80 Days: it mostly seems entertaining. Does that make it a cinematic classic that deserved consideration for the Oscars? Heavens, no; it remains absurd that this trifle stands on the same list with so many excellent films. Nonetheless, I can’t fault the movie for its later adulation, and World provides a generally charming piece despite its myriad of flaws. Around the World in 80 Days appears in an aspect ratio of approximately 2.20:1 on these single-sided, double-layered DVDs; the image has been enhanced for 16X9 televisions. Much of World looked glorious, but a few nagging concerns caused me to lower my grade. Edge enhancement offered the primary villain. The haloes never became overwhelming, but they cropped up moderately frequently and occasionally caused the image to seem a little soft. Otherwise, sharpness looked solid. The movie usually demonstrated very good definition and delineation. I noticed no signs of jagged edges or moiré effects. Despite the age of the film, source flaws only sporadically interfered with the presentation. Occasional bouts of specks and grit appeared, but these became less intrusive as the movie progressed. They usually connected to either archival footage – like the rocket material at the start – or effects shots. Otherwise, the movie tended to look pretty clean. World enjoyed a wide range of lush and dynamic hues, and these came across quite well. The colors mostly looked vibrant and lively. Of course, given the variety of settings, we found a nice array of tones, and the DVD replicated them with good fidelity. Black levels also appeared deep and rich, while shadow detail looked appropriately heavy but not excessively opaque. In the end, this was good transfer that suited the source material very well except for a few minor problems. Even better was the film's Dolby Digital 5.1 soundtrack. The soundfield was very active. A variety of sequences made fine use of all five speakers, and the elements demonstrated good localization and movement. The pieces fit together surprisingly snugly and panned smoothly across the spectrum. Dialogue popped up from the sides fairly frequently and came across as appropriately placed, while the music showed nice stereo imaging. The surrounds played a surprisingly active role in the proceedings. They contributed general reinforcement as well as quite a lot of unique material to flesh out the piece. Split-surround information even popped up occasionally to add a nice sense of spatial range. The quality was also very good given its age. Speech sounded clear and intelligible and showed no problems connected to intelligibility or edginess. Effects were largely clean and fairly realistic; some bits actually featured strong bass as well. The music itself was nicely crisp and bright, and the score displayed some adequate low end. The music showed some signs of age, as it lacked the dynamic range we'd expect of a more recent recording, but it seemed very good nonetheless, as did this mix as a whole. Ultimately, I felt very impressed by this surprisingly dynamic and broad soundtrack. Across the film’s two discs, we get a mix of supplements. DVD One opens with an introduction from film historian Robert Osborne. He chats for eight minutes and three seconds. Among other topics, Osborne gives us some basic notes about the story’s path to the screen, its casting, the development of the Todd AO process, and the film’s success. I’m sure we’ll hear more about these in the other supplements, but this intro launches matters in a good way. Spread across both discs, we discover an audio commentary from BBC Radio film historian Brian Sibley. He provides a running, screen-specific chat that gives us a nice overview. 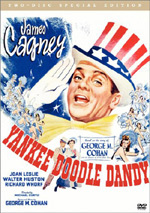 Sibley gets into various production challenges as well as producer Michael Todd’s penchant for exaggerated showmanship; he frequently quotes bold statements connected to the film’s publicity and questions if these come from reality or actually represent “Toddisms” that stretch the truth. 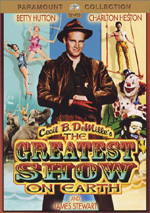 Sibley relates differences between the movie and the book and discusses the histories of some important elements such as hot-air ballooning and bullfighting. Much of the commentary gives us notes about the extremely extensive cast. As I noted in the body of my review, World features an exceedingly long list of cameos, and Sibley provides biographical information on many of these folks as well as for the main actors and some crew members. Sibley occasionally goes silent, but given the extreme length of the film, these pauses occur infrequently and cause no problems. Overall, the commentary offers a lively and informative look at World. The remaining extras on DVD One all appear in a domain called “Around the World of Around the World”. We start with the full version of Georges Melies’ A Trip to the Moon. Robert Osborne opens this with a 105-second intro from Osborne, and then we get the full 11-minute and 50-second version of Moon. From 1902, Moon was the first film adaptation of Jules Verne novel, and it remains iconic; Smashing Pumpkins heavily referenced it in their excellent video for “Tonight, Tonight”. The presentation here comes with narration from some Frenchie who explains the action. Does this replace title cards from the original or was this added for modern audiences? I have no idea, but I suppose if you don’t like it, you can just turn off the audio and watch it totally silent. In any case, it’s a good addition to the set. Another intro from Osborne opens the outtakes section. He lets us know what to expect in his 73-second opening and warns us not to expect anything “earth-shattering” from the silent clips. We then get 11 outtakes; these run a total of 15 minutes and 27 seconds. Osborne’s lowering of expectations proves correct, for without audio, these snippets seem pretty boring. They’re nice to have for archival reasons and I don’t doubt that big fans will be happy to see them, but I thought they were quite dull. 84 images appear in the Stills Gallery. This mixes publicity shots with a few photos from the set and some lobby cards. Next we find two trailers. We get the ad for the original 1956 release along with one from a 1983 re-issue. At four minutes and 15 seconds, the former’s exceedingly lengthy, while the latter whittles things down to a somewhat more reasonable 183 seconds. Both give away too many of the flick’s surprises. DVD One concludes with a DVD-ROM feature. 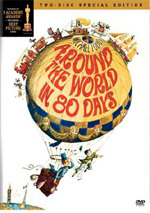 That presents “Mike Todd’s Around the World in 80 Days Almanac”. This offers a program one could have purchased at screenings of the film. It includes essays, notes and photos. The interface seems like something of a pain but it’s a cool addition anyway. On DVD Two, we get most of the extras in a domain entitled “Around the World of Michael Todd’, and this opens with a documentary entitled Around the World of Mike Todd. Yet another intro from Osborne starts the piece; he chats for 75 seconds. Then we get the 50-minute and 28-second 1968 program itself. 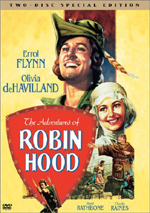 Narrated by Orson Welles, we get archival materials, movie snippets, and interviews with Todd’s one-time wife Elizabeth Taylor, Art Buchwald, Jack E. Leonard, Ethel Merman, Gypsy Rose Lee, Toots Shor, Lowell Thomas, brother Dave, classmate Fats Libitzski, press agents Bill Doll and Max Gendel, writer/producer Jack Moss, and production assistant Leonard Gaines. Martin Balsam acts out quotes from Todd himself. We hear about Todd’s early life and quick entry into the world of money-making schemes, his initial movement into films and other work in showbiz, his growth in the field, various ups and downs, his return to Hollywood via Cinerama and then Todd AO plus the gamble of World and its making, Todd’s romance and relationship with Taylor, the disastrous Madison Square Garden party, the birth of the couples’ only child, and Todd’s death in a plane crash. The program feels a bit fluffy at times, as it clearly acts as a positive epitaph for the showman. Nonetheless, it includes lots of excellent material and provides a pretty entertaining and informative examination of Todd’s life. Next we locate Highlights from the 12/23/56 Los Angeles Premiere of World. The ubiquitous Osborne gives us a 48-second lead-in and then we watch the 115-second clip itself. Unfortunately, as with the outtakes, no original audio appears; we hear movie score. Still, it’s fun to see the stars turn out for the big night. After this we get Highlights from the 3/27/57 Academy Awards Ceremony. Unsurprisingly, Osborne opens this piece with a 70-second intro. After that we see Todd’s post-Oscars press conference that he does along with Liz Taylor. It runs 90 seconds. While not as cool as actually presentation footage would be, it’s still a nice piece. Another collection of snippets shows up via Highlights from 10/17/57 Playhouse 90 Broadcast Around the World in 90 Minutes. Osborne makes his last appearance with his 96-second intro, and then we watch the 46 minutes and 44 seconds of the show itself that depicts the celebration of World’s one-year anniversary. We hear a little about this apparently problematic production during the Todd documentary, but “Minutes” doesn’t depict any of those issues. Instead, it illustrates the party’s absurdly inflated scope and even offers some reenactments of Todd’s work to bring World to the screen that feature Mike himself. Walter Cronkite hosts the parts in the Garden, and luminaries like James Mason show up in the re-enactments. Heck, even then-Senator Hubert Humphrey makes an appearance! It’s an interesting documentation of a ludicrously promotional event. The “Todd” area ends with a newsreel called Spain Greets a Lovely Envoy. This 35-second clip spotlights Liz Taylor’s trip to Spain. It seems to have nothing to do with World other than the presence of Todd. Finally, DVD Two ends with a cameos menu. Unfortunately, this does nothing more than list 35 stars who showed up in bit parts. It doesn’t say where to find them or offer any useful information or pictures. While one of the least impressive winners of the Best Picture Oscar, at least Around the World in 80 Days manages to provide a generally fun piece of work. Indeed, that’s all it has going for it, as the movie never takes itself seriously and gives us nothing more than a visually-appealing comedic romp. The DVD offers very good picture and audio plus a pretty solid and informative selection of supplements. The movie itself defines the phrase “all style and no substance”, but it remains moderately entertaining in a goofy way.